It all began with some horses and the need for job transportation. The River & Lake Shore City Railway Co. opened the first horse-drawn rail along what is currently North Water Street in May 1860. Soon the Milwaukee City Railway Co. jumped into the business, creating a rail system west of the Milwaukee River, while the Cream City Railroad expanded similarly to the East Side in 1874. Horse drawn streetcars by old Market Hall, now City Hall. 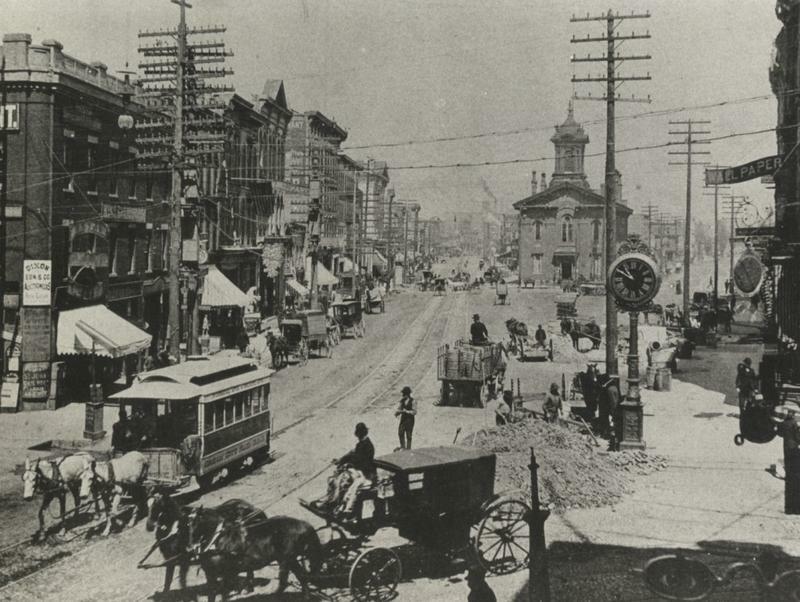 With new inventions and the city’s population on the rise, Milwaukee welcomed the first electric streetcar in April 1890. It began operation along the Wells Street line of the West Side Street Railroad Co. All horse powered tracks transitioned to electric lines by 1894 with newer, larger cars that produced less pollution and allowed for the city to expand away from downtown. The trolley system became the popular mode of transport to carry people into the city for work. Since only the wealthy owned cars in the 1900s, streetcars were easily accessible. At a nickel a ride, the streetcar system reached 28 million passengers in the first year of operation. Consolidation into competing companies allowed for the privately owned Milwaukee Electric Railway & Light Co. (TMER&L) to emerge as the dominant streetcar network. Each car shone bright in orange and cream, utilizing heavyweight cars to hold maximum passengers as the city continued to expand during WWI. In full swing around 1920, the streetcars became vital to the economy and people’s daily lives. 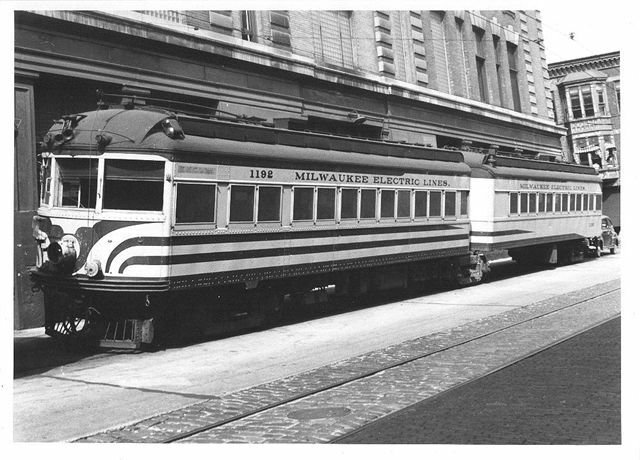 In addition to the streetcars, interurban lines (Milwaukee Electric Lines) added similar yet faster transportation. The first line was completed in 1897 and later ran over 200 miles between Milwaukee, Sheboygan, Watertown, East Troy, Burlington, and Racine-Kenosha by the 1930s. It became revered as the third fastest interurban railway in the U.S. The full interurban rail system lasted until June 30, 1951, save the North Shore Line. Milwaukee’s remaining rails were originally bought by a newly formed Milwaukee Rapid Transit & Speedrail Co. (the Rapid Transit Line). The company had improved the network in speed and comfort for the loyal passengers. 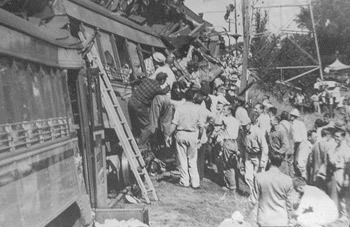 However, a few accidents—including the September 2, 1950 collision near National Avenue on the Hales Corners line that killed 10 and injured 45—ended any hope for revival. 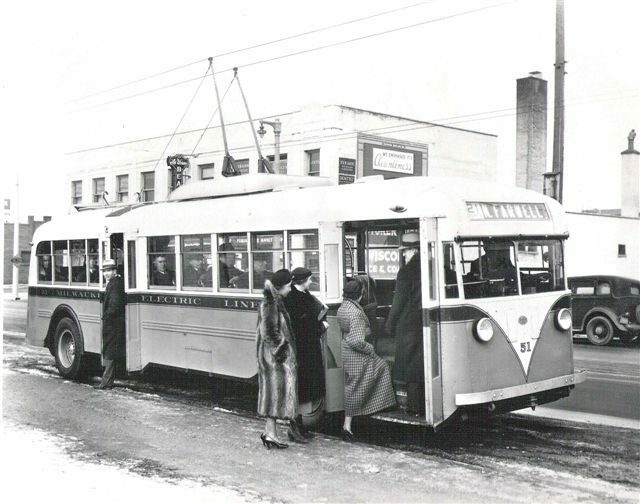 Meanwhile, the first motor bus made its appearance in 1926 replacing the Mitchell Street streetcar route in Milwaukee and the North Avenue line presented the first tire trolley bus service in 1936, still running on overhead electric wiring. Furthered by the Great Depression, the trackways curtailed due to increased competition by the new bus services and labor riots in 1934 which had split the TMER&L into two different companies. Both transportation modes began to replace railed streetcars just as quickly as they sprang up. 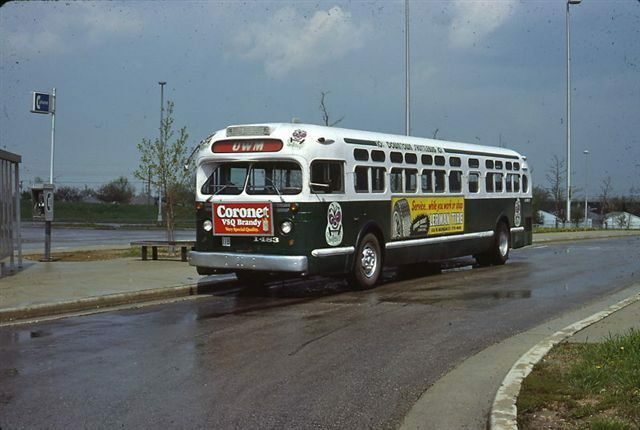 By 1951, The Milwaukee Electric Railway & Transport Co.’s trackless trolleys had 54 miles of routes while there were just as many buses for 177 miles of routes. Only half as many railed streetcars existed with 59 miles of routes. Although WWI gas rationing in the 1940s increased streetcar ridership, it was short-lived. Lines were being cut and abandoned. 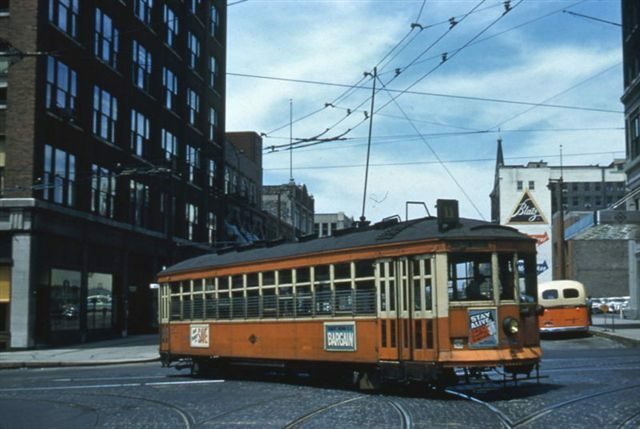 The last streetcar ran its exuberant final route along the Wells Street line on March 2, 1958. Trackless trolleys were also shafted, running their final route along the National Avenue line on June 19, 1965. A trackless electric streetcar with rubber tires loading mid-street. 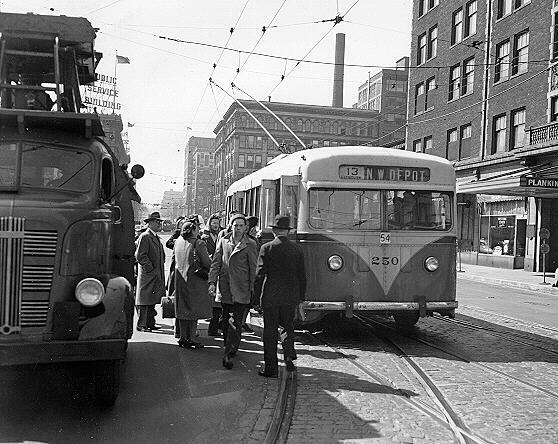 Milwaukee’s first streetcar era concluded operations because of competition by diesel bus services, public safety concerns, rising car ownership and loss of public confidence. Ultimately, times were changing and there was not enough cost-benefit to renew rail line infrastructure. Fixing the pavement around the rails and updating the technologies became too expensive. Streetcars were a traffic hindrance with slower speeds, an inability to maneuver and safety risks of loading in the middle of the street, whereas buses and trackless trolleys were safer and more efficient. Resurrected from the past, Milwaukee joins the trend of reintroducing streetcars to the public after more than 50 years. Although the routes and technology may be different, the original trolley system that began as humble city transportation has since morphed into a 21st-century urban feat. Horse-drawn streetcars quickly turned electric, leading to hundreds of miles of lines for citizens to ride, spreading as far west as Wauwatosa, north as Glendale and south as South Milwaukee. Despite the seemingly continuous expansion, the streetcar system quickly dissolved, paving the roads for diesel bus lines and automobiles. The changing times and lack of financial support for improvements may have ended the first system, but its legacy has left Milwaukee’s new streetcars with lessons learned and hopes of not repeating the past. Although most cities scrapped their streetcar systems after WWII in favor of car ownership, a new wave of streetcar use began in the early 2000s. Cities like Portland (first modern system to open in 2001), Salt Lake City and Dallas brought a nostalgic effect to urban sustainable public transportation that was meant for the locals, not tourists. 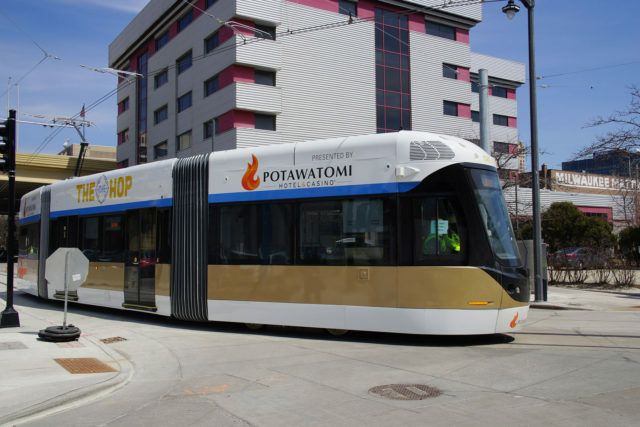 Milwaukee is one of dozens of other US cities that have built, are building or plan to build streetcar systems. 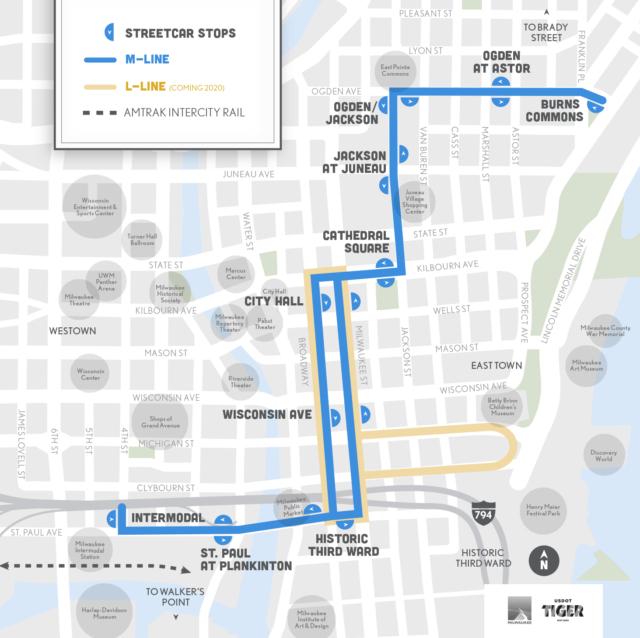 The return of the streetcar hopes to boost Milwaukee’s overall image and economy. Similar to cities who are installing line systems, supporters say the new electric technology will work better, attract out-of-state businesses, represent visible urban development investments and appeal to the today’s trend of decreasing auto traffic. Not to mention, streetcars are quieter and cleaner than diesel buses, while simply being fun to ride. Although once privately owned, the new system will be run by the city, built with the aid of $14.2 million grant and eventual funds by property taxes. Though not as extensive as the old system, the new rails appear to be useful, but with a much different intention. The first installment of the Lakefront Line will connect Cathedral Square to the lakefront. The route will also run between the lakefront and the Milwaukee Intermodal Station. In 2020, another line will also reach the city’s museums and the Summerfest grounds. These rails are intended to expand and link neighborhoods to downtown as starter routes for another city-wide system, but for now, they seem to be most convenient for tourists or a small few locals, not necessarily for Milwaukee commuters like the old lines were. The newly installed rails have similar limitations to the old system, like being slower and less frequent than buses. They’re also a potential a safety hazard because of the fixed wheels that can’t move around obstacles. But if Milwaukeeans once learned how to share the roads with streetcars, maybe we can again. We have learned one definitive lesson from the old system though: the new streetcars will load on sidewalks, not in the middle of the street. Public transit has always been about purposefully moving people. 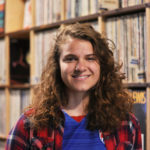 In both eras, these changes have been about the “future” of Milwaukee transportation. The future used to be diesel buses, now it might be electric street cars once again—bringing its legacy full circle with a few modern updates. With The Hop, history will repeat itself, hopefully just not all of it. 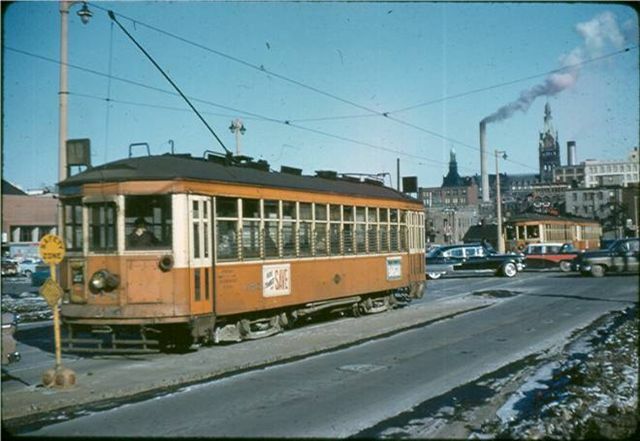 Read more about the history of Milwaukee streetcars and find additional photos at the Milwaukee Transit Archives.